This year, Samsung has introduced a pair of great Chromebooks with the unveiling of the Pro and the Plus. The screen rotates and flips to turn the Chromebook into a large tablet, this is a great way to watch a video or full-length film on the display. The condition is that you might have shot some 4K video with your handheld 4K device recorders or download a 4K video from YouTube and you may wonder the possibility to play the 4K video on Samsung Chromebook Pro or Plus. The following article will illustrate this issue for you and also offer the simple solution to get any 4K video played on Chromebook Pro/Plus. How to play local video on Samsung Chromebook Pro/Plus? Before talking about the possibility of playing 4K video on Chromebook Pro/Plus, we should first be clear whether is it possible to play local video on Chromebook Pro/Plus, if yes, how to make that realized. The Samsung Chromebook Pro/Plus feature the Chrome OS, it has its built-in native video player app to play video stored on internal storage or from a connected external USB drive or SD card. Is it possible to play 4K video on Samsung Chromebook Pro/Plus? The Chromebook Plus and Pro have upgraded its ports, and now includes two USB-C ports for enhanced connectivity and 4k video streaming, producing high quality video and gaming from the Chromebook on connected 4k displays. However, as for playing local/personal 4K video on Chromebook Pro/Plus, there are other important issues you should take into consideration. First, since 4K video are usually very huge in size, while the internal storage of Chromebooks are very small, therefore, it would be much ideal for you to store your 4K video on external USB drive or SD card. Second, make sure the 4K video are encoded with Samsung Chromebook Pro/Plus compatible file formats, codec, bit rate, frame rate, aspect ratio, etc. 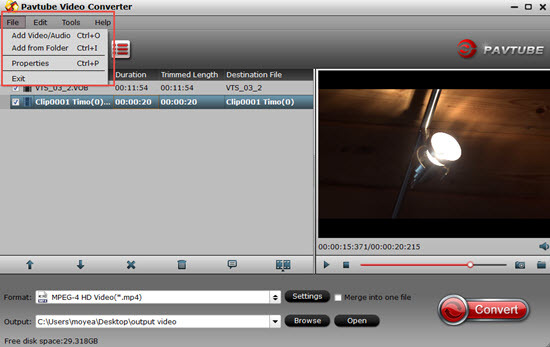 If the 4K video are encoded with Chromebook Pro/Plus unreadable file formats or codec, you can download our powerful 4K Video Converter – Pavtube Video Converter to assist you to convert all the unsupported 4K formats such as 4K AVI/WMV/MP4/MOV/MKV/MXF/XAVC/XAVC S or 4K H.264/H.265/Prores, etc to Samsung Chromebook Pro/Plus compatible file formats and codec listed above. To get better output file quality for Chromebook Pro/Plus, you can flexibly tweak output profile parameters including video codec, resolution, bit rate, frame rate, audio codec, bit rate, sample rate, channels, etc in the program’s profile settings window. Although your Chromebook Pro/Plus can handle 4K resolution video, however, you may still find that 4K video playback very choppy on your computer, this is due to the immense processing power required to play the 4K video. Therefore, to have a smooth video enjoying experience on Chromebook Pro/Plus, it would be much ideal for you to compress 4K to 1080p to fix the video choppy, stutter or lagging issues. 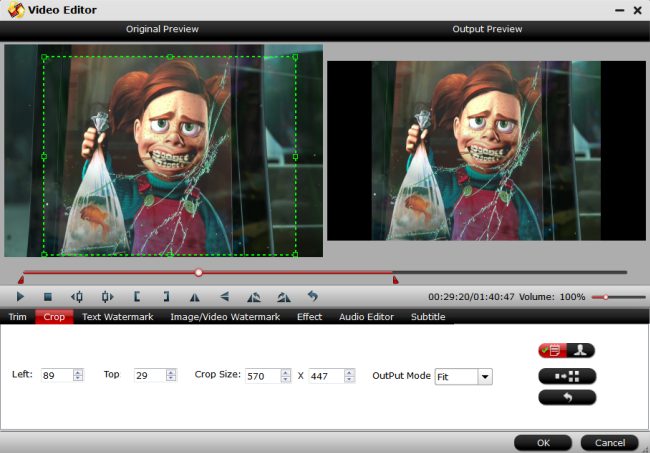 For those people who wish to get a small file size but unwilling to suffer any quality lose, you can use the program’s built-in trimming function to reduce file size by cutting unwanted parts or segments, the cropping function to remove unwanted size area or the splitting function to split large video into small parts by file size, count or length. For Mac users, you can download Pavtube Video Converter for Mac to convert and compress 4K video for Chromebook Pro/Plus on macOS Sierra, macOS High Sierra. How to Convert and Compress 4K Video for Chromebook Pro/Plus? Step 1: Load 4K video. Download the free trial version of the program. Launch it on your computer. 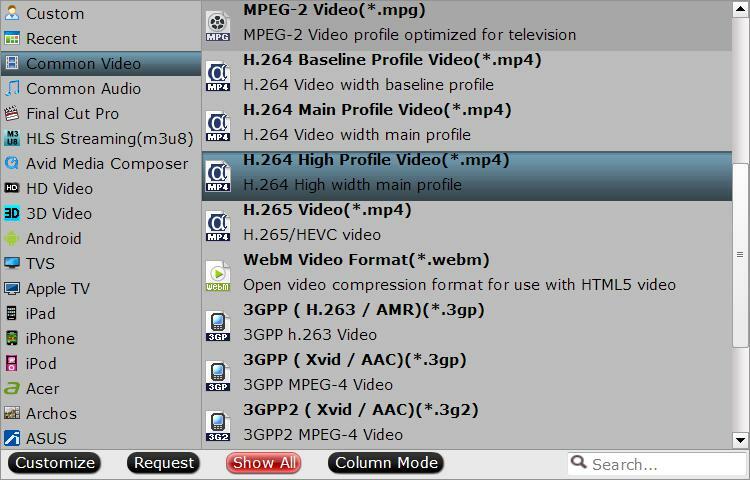 Click “File” menu and select “Add Video/Audio” or click the “Add Video” button on the top tool bar to import source 4K video files into the program. 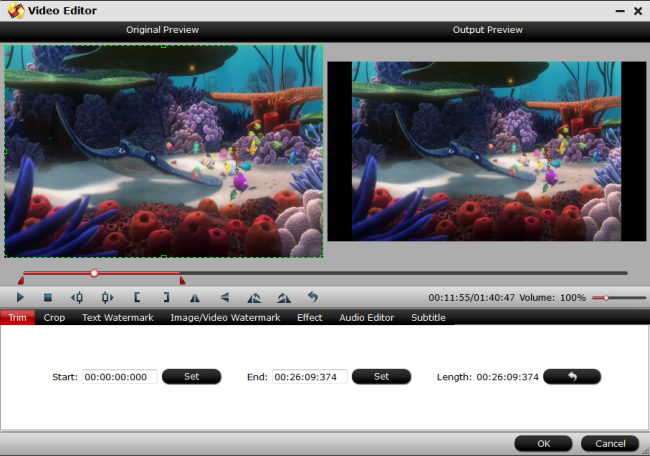 Tips: The program supports batch conversion mode, so that you can batch import multiple 4K video into the program. Clicking the Format bar, from its drop-down list, select Chromebook Pro/Plus supported 4K file formats by following “H.264 High Profile Video(*.mp4)” under “Common Video” main category. To have a smooth video playback experience on Chromebook Pro/Plus, it would be much ideal for you to compress 4K to 1080p by outputting Chromebook Pro/Plus compatible HD file format by following “H.264 HD Video(*.mp4)” under “HD Video” main category. Click “Settings” on the main interface to open “Profile Settings” window, under video section, click “Size(pix)” drop-down list, choose “1920*1080” or “1080*720” to compress 4K to 1080p. Step 4: Trim/Crop/Split 4K video. To compress 4K video with no quality loss, you can trim/crop/split 4K video in the following ways. After all setting is completed, hit the “Convert” button at the right bottom of the main interface to begin the conversion and compression process from 4K video to Chromebook Pro/Plus best compatible 1080p or 720p video. When the conversion is finished, click “Open Output Folder” icon on the main interface to open the folder with generated files. Then feel free to transfer converted files to an external USB drive or SD card, plug the drive or SD card into your Chromebook Pro/Plus for watching on the move. Play .mkv files on Chromebook?